University of Nevada’s Concrete Canoe Races To A Win! Practice makes perfect as the University of Nevada Concrete Canoe team “Dambitious” paddles to an overall win in this year’s regional concrete canoe challenge known as the Mid-Pacific Conference. 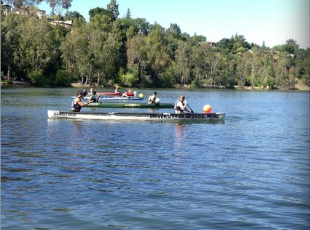 The University of Nevada team finished first place in all 5 races in the competition that took place at Vasona Lake in Los Gatos, CA on..